This adapter increases the size of the immersion heater connection so that standard UK 2¼" immersion heaters can be used with our thermal stores. 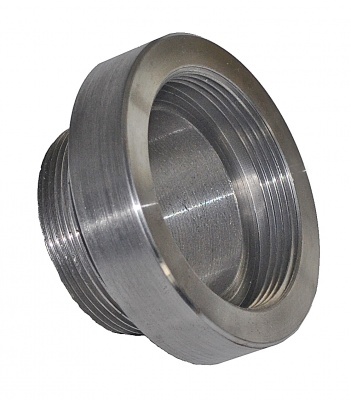 A very high quality adapter made from solid piece of steel, 2" tapered thread and a wide gasket surface. Can also be used with other makes of thermal stores and accumulators with 2" immersion couplings.